Did any of you own a Motorola RAZR? I’m sure you did. Back in 2005 it was the coolest phone to own. It was skinny. It was light. It had cool glowy blue buttons. It was on all the carriers. It was the phone to have. At least if you were a tech-crazed high schooler, like myself back then. It seems that Motorola may not have done it again with the newest addition to the RAZR, but the new Motorola Droid RAZR, as it’s being dubbed, is still a really neat phone. Sporting 4G, a 1.2 GhZ dual-core processor, 1GB RAM, 32 GB of storage, 12.5 hours of talk time, an 8 megapixel camera with 1080p recording, a 4.3-inch qHD Super AMOLED display strengthened with Gorilla Glass and Kevlar fiber, and at only 7.1mm thick, the Droid RAZR is now the thinnest 4G phone on Verizon. And because of the kevlar, the phone will be protected against spills and other nasty accidents. You know what else is made of kevlar? The Batsuit. I’m officially calling this one the Batphone. This thing is cool. The phone will also be compatible with the rest of Motorola’s line of devices, including the Moto Webtop and the brand new MOTOACTIV, a pretty nifty fitness watch that was also announced today. Only downside to this phone seems to be that it’s running Gingerbread, and not the upcoming version of Android, dubbed Ice Cream Sandwich. Motorola’s announcement comes just hours before Samsung announces their newest version of their Nexus line, which will be exclusive to Verizon AND will have Ice Cream Sandwich. So the Motorola Droid RAZR certainly has some competition. You’ll be able to pick up your very own Batphone, I mean Motorola Droid RAZR, in early November exclusively for Verizon Wireless. With the iPhone being so popular and all the speculation about the next gen iPhone 5 reaching fever pitch, it’s sometimes hard to keep in mind the other fine smartphones on the market or coming soon. One of these is the upcoming Motorola DROID Bionic from Verizon Wireless. Even for fans of HTC devices (which many of us are), it’s easy to be impressed with Moto’s latest offering. With specs such as a dual-core 1GHz TI OMAP processor, 1GB of RAM a 4.3-inch qHD display, the Android 2.3.4 Gingerbread OS and, of course, compatibility with Verizon’s lightning fast 4G LTE network, this device looks poised to dominate Verizon’s 4G offerings. And now, Verizon Wireless on Wednesday finally made the Motorola DROID BIONIC official and has released pricing and availability details. The new Android smartphone launches Thursday, September 8th, for $299.99 with a 2 year contract. Check out all the info in the official press release after the break. Some days news from the tech world is pretty amazing. Today is one of those days. Why? Read on. Today, Google announced that it will be acquiring Motorola Mobility for $12.5 Billion. Yes, you read that right. Google is buying Moto. According to reports, this move from Google will hopefully allow it to better compete with Apple’s iPhone, which owned two-thirds of profits among the world’s top-8 smartphone vendors in the second quarter. A Google-owned hardware arm would give the company complete control over the device, software and services, resulting in an end-to-end user experience that is completely under Google’s command. Much like Apple does with the iPhone. And you know how that turned out. The deal will also give Google control of Motorola’s patents, of which there are quite a few. Very nice of him. Check out the full press release after the jump. As expected, Motorola on Wednesday announced that the sequel to the popular DROID X smartphone will launch later this month. The Motorola DROID X2 will be available for pre-order on May 19th and will launch on May 26th. The device will cost $199.99 with a new two-year contract. It features some pretty nice specs including a 4.3-inch touchscreen display, dual-core 1GHz processor, Android 2.3 (Gingerbread), an 8-megapixel camera with support for HD video capture, an HDMI-out port, a case that is nearly identical to the original Motorola DROID X, and “double the does,” according to Verizon Wireless. Sounds like a nice device. 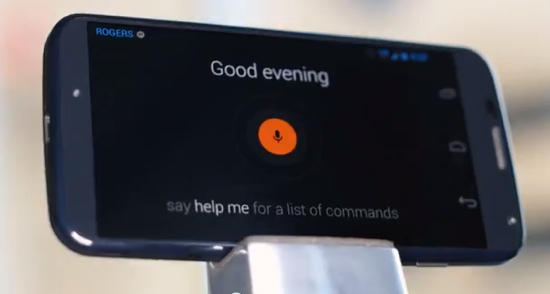 As an iPhone user I’m always interested in what the Android folks will come up with next. These phones just keep getting better and better and the Android platform keeps maturing. Hopefully Apple will realize its got some competition and step up with some amazing new features for iPhone 5. Let’s keep our fingers crossed. In the meantime, for the rest of the scoop on this new device, check out the full press release from version after the break. Seems like there’s been a non-stop parade of hot new Android-powered phones releasing in 2010. 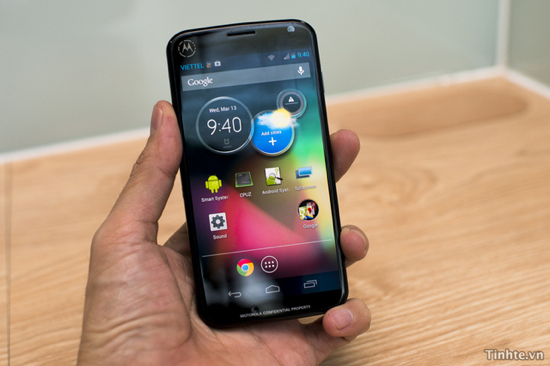 We reported on the Droid Incredible back in April, the ginormous Droid X with its drool-worthy screen back in June, but check out what Motorola is about to release on Verizon customers now. The all-new Droid 2, an update on the Droid that started it all. Unlike the Incredible and the X, the new Droid 2 has an improved flip-out keyboard, a must for texting and emailing enthusiasts. I have to say, as a Droid Incredible user, I long for a real keyboard every single time I have to pound out more than a few words on my virtual keyboard. The Droid X at least has a much larger screen and consequently a much larger virtual keyboard, but there just is no comparison to how efficient you can be with a real keyboard. The specs are reminiscent of the original Droid, but updated in some key areas: Android 2.2 (AKA “Froyo”), 3.7″ touch-screen, 3G Mobile HotSpot capability, Flash Player 10.1, an enhanced 5MP-cam with image-stabilization, dual LED flash and DVD-quality video capture, 8GB of onboard memory and a 8GB microSD card and onboard DLNA media sharing. Hot on the heels of Verizon’s Twitter campaign (follow @DroidLanding for details), as well as our own coverage of the Droid X here at The Flickcast, the wireless company has now released a sneak peek of a 60-second trailer for their hot new Android-based smartphone. The video as well as the Twitter campaign have really served to build the hype in advance of the official Motorola Droid X launch, which begins today at Verizon retail stores nationwide. Since June 21st, Team Droid X has been tweeting tantalizing details concerning the whereabouts of twenty of their so-called ‘Droid Designates’. Advanced copies of the massive smartphones hidden in various states across the U.S. As the weeks rolled on, the hints became more and more specific, eventually culminating in a GPS coordinate that could be entered into Google Maps to learn an exact location. Obligatory twitpics of the winners of the Droid X scavenger hunt began popping up late last week. One-by-one, the beaming faces of Droid X owners holding up their new smartphones really had me thinking that Verizon knows how to run a successful viral twitter campaign. And clearly, getting advanced copies of a hot new phone out in the wild only stokes the interest all the more. Hit the jump for all of the launch-day details as well as the sneak-peek video!